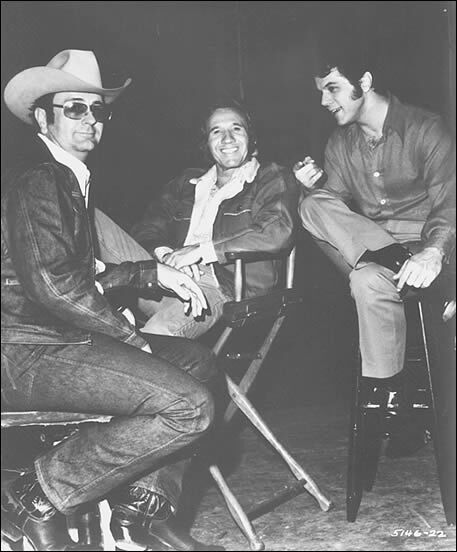 Famed singer/composer Marty Robbins (center), and co-star Sammy Jackson huddle with ten-gallon-hatted producer/director Robert Hinkle on an upcoming scene in "Country Music" during a filming break. Copyright © 2008 Robert Hinkle. All rights reserved.